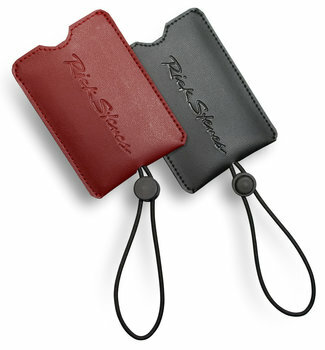 Looks Sharp: This classy pair of tags can go with any type of luggage — for business or pleasure trips. 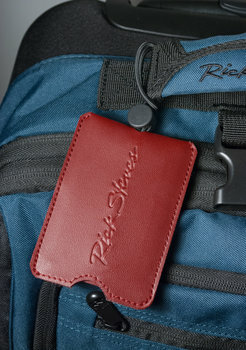 Handy Size: Each tag is perfectly proportioned so your business card tucks easily and securely inside its slide-out inner pocket. Discreet: Cinch the toggled stretch cord, and your ID is concealed from strangers. Colors: Available in black and dark red. Dimensions: 4" x 2 ⅞"